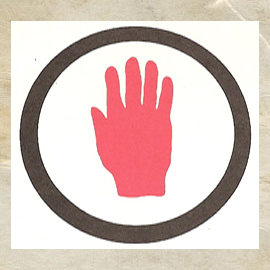 How This Colored Regiment of the "Red Hand" Division Helped to Win the War---Service in the Trenches Under General Goybet---In the Great Champagne Offensive---Fierce Fighting and Heavy Losses---The Regiment Decorated by the French---Individual Citations and Awards. In addition to the 369th Infantry Regiment (old New York Fifteenth) and the 370th (old Eighth Illinois), the 371st and 372nd Regiments, also composed of colored troops, were brigaded with the French during their active service overseas. It had been first decided by the United States War Department that these four colored regiments should form the nucleus of the 93rd Division (Provisional), but it was finally decided not to organize the 93rd Division, but to brigade these four regiments with French troops. The 371st Infantry was organized August 31, 1917, at Camp Jackson, South Carolina, in compliance with War Department General Order No. 109, of August 16, 1917, as the First Provisional Infantry Regiment (colored). Col. Perry L. Miles assumed' command of the regiment September 1, 1917. All the officers of the 371st regiment were white. On September 5, 1917, fourteen colored men from Pensacola, Florida, were received as the first recruits for the regiment. The time of arrival of recruits for the regiment was delayed by the War Department for about a month, because of the shortage of labor in moving the 1917 cotton crop. It was not until early in October that the first considerable body of recruits was received. By November 20, 1917, however, 3,380 men had been received by the regiment. These men were not all received at once, but in varying sized draft increments at different times. Of this number, 1,680 men were transferred to labor organizations and 500 to a combat organization at Camp Upton. Under a staff of French officer instructors and interpreters the 371st Infantry was reorganized on the French plan, soon after its arrival in France (April 23, 1918), with 194 men to the company and three machine gun companies to the regiment instead of one as on the American plan. All the American equipment was turned in, and the men were given the French rifles, bayonets, helmets, packs, and other equipment of the French soldier. Only the American khaki uniform remained. After a few weeks' instruction in this new equipment and in French tactics, the regiment went into the trenches as part of the 157th French Division under General Goybet. It remained in line for over three months, holding first the Avocourt and later the Verrières. subsectors (northwest of Verdun). The regiment, with its division, was then taken out of line and thrown into the great September offensive in the Champagne. It took Cote 188, Bussy Ferme, Ardeuil, Montfauxelles, and Trieres Ferme near Monthois, and captured a number of prisoners, 47 machine guns, 8 trench engines, 3 field pieces (77s), a munition depot, a number of railroad cars, and enormous quantities of lumber, hay, and other supplies. It shot down three German airplanes by rifle and machine-gun fire during the advance. During the fighting between September 28 and October 6, 1918, its losses---which were mostly in the first three days---were 1,065 out of 2,384 actually engaged. The regiment was the apex of the attacking salient in this great battle. The percentage of both dead and wounded among the officers was rather greater than among the enlisted men. Realizing their great responsibilities, the wounded officers continued to lead their men until they dropped from exhaustion and lack of blood. The men were devoted to their, leaders and as a result stood up against-a most gruelling fire, bringing the regiment its well deserved fame. For its action in the Champagne, the 371st was very highly commended by the French high command and awarded the Army citation. Vice-Admiral Moreau, on behalf of the French Government, decorated the regimental colors on January 27, 1919, in Brest. In addition to this regimental citation, 146 individual citations were awarded members of the 371st regiment. American Distinguished Service Cross: Officers, 10; enlisted men, 12. French decorations: Legion of Honor: Officers, 1. Croix de Guerre, in various grades: Officers, 34; enlisted men, 89. The 371st went into line for its initial experience in sector work at a time when a big German offensive was expected. From that time until shortly after the Armistice, the regiment remained continuously in line or was on the offensive. It was never in rest. Returning homeward, the regiment sailed from Brest February 3, 1919, on the U. S. S. Leviathan and arrived at Hoboken, February 11, 1919. From there it went to Camp Upton, where it was broken up into detachments and sent to various camps for demobilization. The largest detachment, nearly 1,400 men with Regimental Headquarters, was sent to Camp Jackson, at Columbia, South Carolina. the place of the regiment's birth. Demobilization was completed and the regiment dissolved February 28, 1919. Col. P. L. Miles, who commanded the 371st, speaks in warm and approving terms of the efficiency of his men. "I never heard of similar performance by any regiment of any nation," Col. Miles writes, commenting on the feat of shooting three Boche airplanes "on the wing." "Our division commander, who had over four years of war over here, said he had heard of a former case where one machine had been shot down in a similar manner." Another officer of the 371st, Capt. J. Leo Collins of East Pittsburgh, Pennsylvania, a member of the Allegheny County bar, who was commissioned an officer at Fort Oglethorpe, Georgia, and assigned to duty at Camp Jackson, South Carolina, where the 371st was organized and trained, says: "The 371st was the first draft regiment to sail from this country, sailing in April, 1918, and the first draft outfit to take the trenches. In the engagements around Verdun the fighting qualities and courage of our boys won the admiration and most profuse praise of the French. Citations were showered upon the valorous boys for their unflinching conduct in the face of withering machine-gun fire, which they overcame and silenced at the point of the bayonet. We broke the Hindenburg line at Monthois, and so rapidly did our boys move that a halt was called to enable the right and left flanks of our line to catch up. An excellent opportunity was furnished by comparisons as to just how good our colored soldiers were. At times we were brigaded with the French Moroccan and with English Canadian troops, with the Germans opposite, and it is quite safe to say that we certainly did not suffer by comparison." "It was all bad, but the worst came when the German airplanes flew low and sprayed the wounded with liquid fire. There is no way of putting out that liquid flame, and no one can help you, because the fire spreads so quickly. It is bad enough to be helpless out there, without water or friends, but to have a hellfiend fly over and just squirt torture at you---well, the Indians or the savages of Africa were not much worse. They were not so bad, in fact, for they were savages---while the Germans are supposed to be civilized. "A Hun plane flew over when I was wounded, but believe me, when I saw that fire coming I sure did some lively hopping around. There wasn't going to be any broiled Washington if I could help it. But some of the mortally wounded were burned to death. Those Huns should be made to pay for that sort of thing. It ain't fighting; it's concentrated hell! But we had to attend to their wounded, and one of our officers saw that we did it. "I went over the top in the fighting on September 29 and 30. We advanced after the usual barrage had been laid down for us. We went up to the Germans, and my platoon found itself under the fire of three machine guns. One of these guns was in front and running like a millrace. The other two kept a-piling into us from the flanks, and the losses were mounting. We got the front one. Its crew surrendered and we stopped. The other guns kept right on going, but we got them, too. "It was while we were attacking the guns on our flanks that I was wounded. Ordinary bullets are bad enough, but the one that hit me was an explosive bullet. That's me, sir, every time! When things are coming, I am sure to get my share of them. I certainly did get my share. "While I was knocked down, it was safer to stay down. Those machine guns kept right on pumping, not the ones we captured, but others. The wind they stirred up around your face kept you cool all the time. I finally started back, but found myself in a German barrage. It was shrapnel in front of me and machine guns in back of me. I lay right down and had a heart-to-heart chat with St . Peter. I never expected to get home again. "They say Edgefield, back home, isn't much to look at, but I would have given two months' pay, including allotments, to get back on my farm about then. But now that I've been there and come back, I feel that I'm square with this country. I did my share, and I'm glad I did it. " James P. McKinney, of Greeneville, South Carolina, attached to the Headquarters Company of the 371st Infantry, was wounded in the right arm by shrapnel. Gas infection set in and he was invalided out of service. "The day we went over the top," says McKinney, "we took our positions early in the morning, and waited until our barrage had smashed the German defenses pretty well. About the time our barrage lifted, the Huns sent over a counter-barrage, but we went right through it, and over the slopes commanded by their machine guns. They turned loose everything they had to offer, and the storm of lead and steel got a lot of our men. Still, we followed our officers into the devils' trenches. A few of the Germans tried to fight with their bayonets, but we could all box pretty well, and boxing works with the bayonet. A few feints and then the death-stroke was the rule. Most of the Huns quit as soon as we got at them. Even the ones that had been on the machine guns yelled for us to spare them. I guess in the excitement some of them fared poorly. "While we were advancing we worked along low and took all available cover against the machine-gun fire directed against us. As soon as we came within range we opened fire with hand grenades and accounted for the machine-gun nests. I saw some of the gunners chained to their posts. Their barbed wire gave us trouble. Our artillery cut it up pretty badly, but still it was a pretty strong barrier against the advancing infantry. When we got tangled up in the wire, Fritz would play with his rifles. I've seen fellows get into a German trench with their uniforms flying in shreds. "I was wounded in the arm at the 'big stunt.' We were attacking along the whole front, and the Huns were kept on the hop. While going up I was hit and had to fall behind. My arm was badly mussed up, but I threw a few grenades here and there, and guess I got a few of them. "The German artillery fire was accurate. They had our ranges down to a science, and while they had good ammunition were hummers. They were good marksmen. Why, I've seen them cut a regular ditch along a row of shell-holes to prevent our troops from using the holes for shelter. There was positively nothing they didn't do that was horrible. I've seen them cut loose at a company runner with three-inch artillery. It was a funny sight for us, but not for the runner. The Huns would drop shells all around him while he fled on wings of terror. I never saw them get a runner with their artillery fire, but I've seen some very close shooting. "Perhaps the most unusual experience I ever had was one day when we were advancing toward the German positions. They cut loose with their artillery and we were ordered to take open order and hunt cover. For two hours we were violently shelled, but thanks to Providence, none of us was killed. A few were slightly wounded. They mixed high explosives with gas and shrapnel. "About the hardest luck of the war, though," concluded McKinney, "fell to the lot of a pal of mine. He got a piece of steak somewhere and was cooking it, his first bit of steak in months. While the meat was broiling the Germans began a gas bombardment. The men put on their masks, but the meat was ruined. That's what I call hard luck." Capt. AV. R. Richey of Laurens, South Carolina, who commanded a company of the 371st Regiment, in writing of the men of that regiment, said: "On the afternoon of September 26, 1918, we received orders to move forward., We slept that night in a French communicating trench. I say slept, but really there was no sleep, as it was raining, and the noise from the guns would not let one sleep. The French had gone over the top and were pursuing the Huns. "On Sunday morning my company went over the hill. We arrived at the position the attack was to start from at 7:30, after having a deadly artillery barrage on us over the hill. At 10 o'clock Sunday morning we were ordered to advance up the valley, but in the meantime an enemy plane flew down low, discovered our position, and signalled his artillery, which opened on us, and every minute seemed to be the last one. However, by rifle fire we brought the plane down, killing the pilot and observer. "Long before we reached the village we could see the cowards running up a steep hill beyond, leaving lots of machine guns to stick out, and, believe me, when we reached our objective and rounded up the machine gunners the men of the 371st made quick work of them. "In all, during the two days, Sunday and Monday, our battalion advanced about five miles without the aid of a single friendly artillery shot or any other help. We killed lots of Germans, captured lots of them, and also captured any quantity of material and several big guns. "I am proud of all my officers and all of my men. The whole regiment fought like veterans, and with a fierceness equal to any white regiment. This was the first time any of them had been under aimed shell and machine-gun fire and they stood it like moss-covered old-timers. They never flinched or showed the least sign of fear. All that was necessary was to tell them to go and they went. Lots were killed and wounded, but they will go down in history as brave soldiers." Lieut. John B. Smith, another Southern officer, residing at Greenville, South Carolina, when asked about the soldierly quality of the colored drafted men who composed the 371st, said: "The men were good soldiers. They were obedient to all commands, and were in every way amenable to discipline. They were drafted men of all sorts, gathered from the farms and cities and towns, from every occupation. To be frank, we were a little dubious about them. We did not know whether they would stand under fire or not. But they did. They would go right into the thickest sort of fight, and they were splendid fighters." "Would the colored men stand under a losing fight?" Lieut. Smith was asked. "Would they stand the gaff?" "Yes," was his reply. "We never had that experience but once, for we were usually winning. But in the Argonne Forest we advanced seven kilometers one day, getting ahead of the line. The next day we were subjected to a terrific counter-attack. The enemy used artillery and gas, and airplanes, and rushed us with infantry and machine guns. We held our ground for seven hours, fighting part of the time with our gas masks on. It was as severe a test as any soldier ever had, but our men never faltered once, although our casualties were very heavy that day. No soldiers could have behaved any better under adverse circumstances. "The colored men were given different treatment by the French people from what they had been accustomed to receive from white people at home," continued Lieut. Smith. "The French people could not grasp the idea of social discrimination on account of color. They said the colored men were soldiers, wearing the American uniform, and fighting in the common cause, and they could not see why they should be discriminated against socially. They received the men in their churches and homes and places of entertainment. The men accepted this, and it did not seem to appear strange to them. They seemed to understand that the customs over there were different from ours in the South, and let it go at that. I don't think anybody need be uneasy or apprehensive. I think these colored men, having made good soldiers, will now be more than anxious to make as good civilians, and that they will do so."